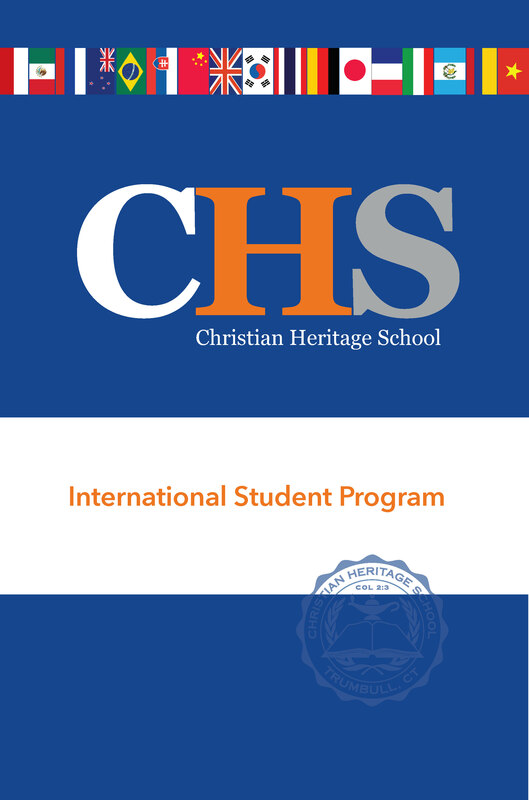 Christian Heritage School welcomes international students to grades 7-12 (ages 12 to 18) who desire to have a college-preparatory, Biblically-based education. We hope the following information will help you to understand our program and the requirements needed to apply, be accepted, and enroll at CHS. Submit the online Application for International Students and the Application Fee ($100). Once the required enrollment items are received, original documents and an I-20 will be express mailed to the accepted student's family. The balance of the tuition is due approximately 3 weeks after the I-20 is issued. Home stay assignments will be sent to accepted and enrolled students by mid-July. International Student Program Fees include: tuition, host family fees (room & board),books, iPad lease & insurance fees (for high school students), health insurance, medical exam, annual college visit trip, daily school lunches, overnight retreat and class trip, transportation to and from the airport, and orientation. If ESL/English Lab is required, there is an additional fee of $2,000. New International students are not required to complete summer reading assignments unless they are entering 11th or 12th grades and taking a college-level class.